Lost social security card for a child is the fault of the guardian. Getting a replacement is quite easy since all you need to have are two valid documents in order to prove the status of the child. Next, you also want to prove your custody of the child. Once you have come up with these things, you will be able to get the social security card replacement in a week or so. How do you replace a lost social security card for a child? The social security number is important because it allows you to get a job and to have a bank account. But for a child, the social security number allows the child to have a bank account under his or her name. As a parent, this is a good thing especially if you are planning for the future of your child. However, losing the social security card of your child is a major security breach. It is important that you are going to monitor the bank accounts in order to know if the child has become a victim of identity theft. 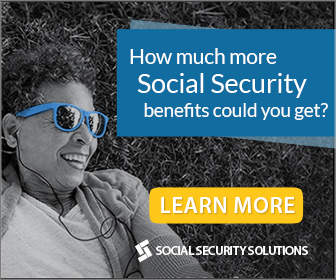 One of the things that you need to look into is the income on the social security number. Any kind of income that reflects on a child’s social security card would mean that there is identity theft that is going on. If you find yourself in this kind of scenario, it is a good idea that you report it immediately. Make sure that you are also documenting the incident as it unfolds. This will help you get a new social security number for your child in case there is nothing that they can do already. The silver lining though is that a new social security number for a child won’t affect him or her much. There is no credit rating to think of which is a good thing. However, you need to make sure that you are going to be careful whenever you are going get a social security card for your child. Keep in mind that you shouldn’t be bringing the social security card anywhere. You have to make sure that you simply keep it in a safe place. You should only be bringing the social security card whenever you are opening a bank account for your child.